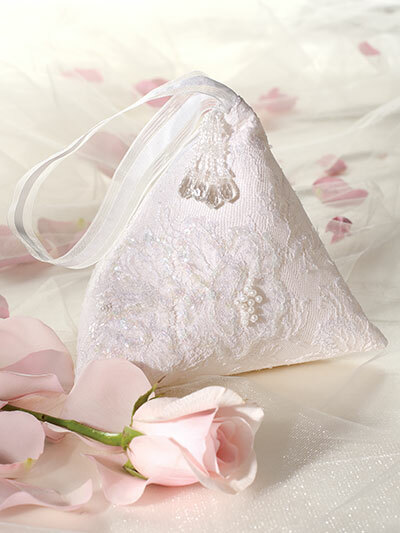 Scraps of lace and other bridal fabrics are perfect for this lovely bridal bag. A beaded tassel disguises the zipper pull on the lined bag that will hold the bride's essentials for the reception. Bridal attendants will love this bag, too, when made from fabrics that match or complement their gowns. 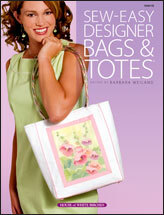 This e-pattern was originally published in Sew-Easy Designer Bags & Totes. Size: 7"W x 7"H x 7"D.